Tony and Tracey Lake’s superb 1986 SAR. Brent Cowdroy’s new T909 expertly crafted by A&I Custom Chrome Trucks. 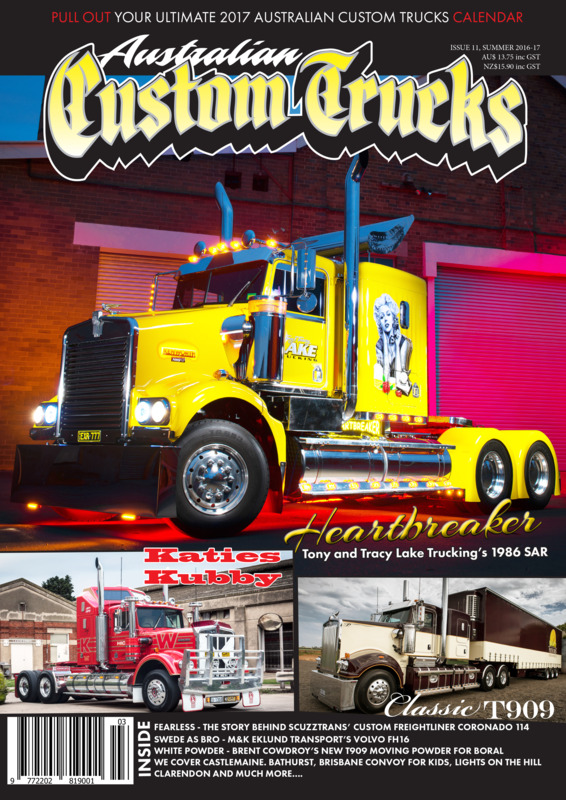 All the latest truck show wraps and more!